Truth. I've been avoiding that brand for decades. Always too many bits of silver skin and gristle buried in Badger's ham loaves for my tastes, and those make me gag. Sunday Ham and Rolls used to be different when I was a kid. What's changed since then: 1. The disappearance of the old neigborhood groceries. Back in the day a lot of pride went into the product and each little store inspired very devoted followings. Arguments about your favorite store's Sunday ham superiority used to be very common. 2. Somewhere around 25 years ago a local ham processor (Kretzschmar?) with a (in my opinion) better product than Badger's went out of business, and Badger was pretty much all that was left. And 3. This used to always be sliced to order as thick or as thin as you liked. No longer. If you want to buy hot ham today, it's been pre-sliced a few hours earlier and it's invariably a lot thicker than I like it. So what I do is buy rolls and cold ham, get it shaved to order as I prefer it, and heat it up myself in the microwave. I think Usinger's is very good and Mickelberry is fantastic. Boar's Head is too sugary for my tastes. Hey DaBeef, when are you going to make a dedicated thread to Wisconsin pizza? Until then, here's another one. I was at Transfer Pizza in Milwaukee last night. They do what I'd call an East Coast style pizza though the dough isn't as elastic and it's a little more bready. I got a 14" sausage. Sauce was very bright and tasty, sausage was solid. It could use more sauce. I ordered extra sauce to at least dip my crust in which was a great idea. Overall a solid place with interesting options if you like to experiment. I'd go back if in the immediate area, but I really wanted to go back to Maria's. Sometimes you have to try a few before going back to your favorites. Ram4 wrote: Hey DaBeef, when are you going to make a dedicated thread to Wisconsin pizza? 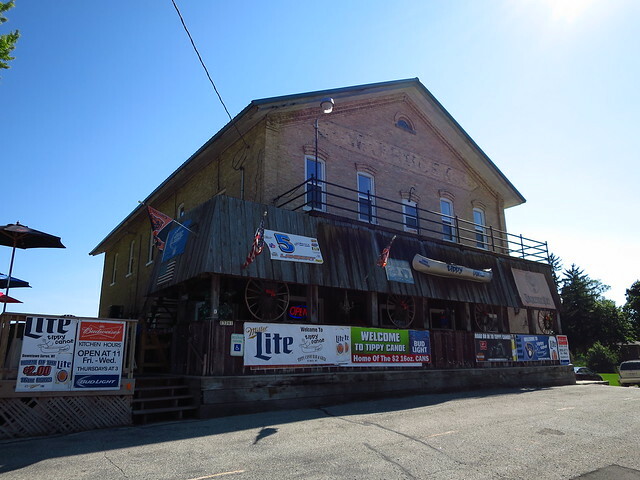 Between all the great old-school tavern type spots and the newer farm to oven places recently featured on the Travel Wisconsin Website, they make a good case as a state. I didn't get to try the pie at the Village Inn in New Holstein but I did gnaw on their other house specialty. 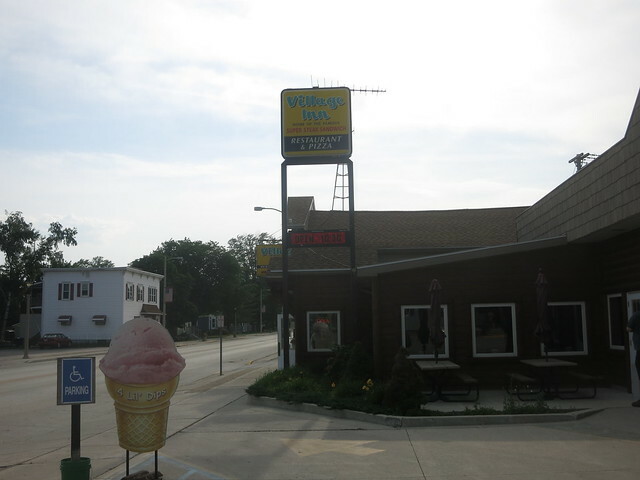 The restaurant steak is a popular regional eat of Sheboygan county and the areas around it. In these parts a steak sandwich is more like a burger but not quite one thus almost a hybrid of the two. Popular in meat markets around town they're really good used for the likes of Swiss and Salisbury steak and can also make a great sandwich. Village Inn serves theirs with a similar meat to bun ratio as an Iowa breaded pork tenderloin. 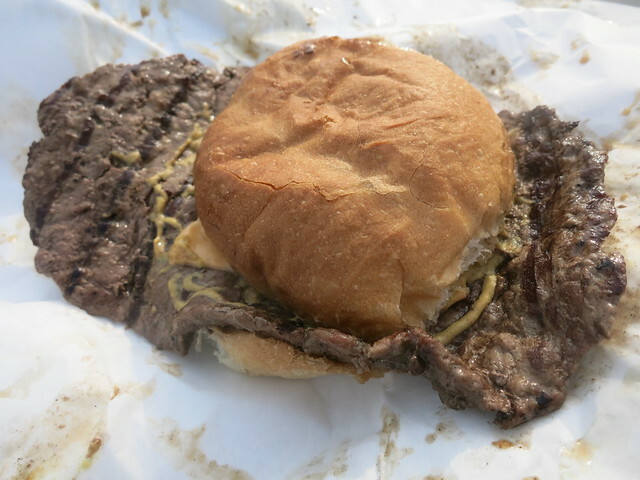 Also standard for a Sheboygan style steak sandwich is the hard roll boasting the same name, toasted with butter and also the fact it's grilled over charcoal. I'm not sure if they were using real charcoal here but this was a satisfying sandwich that had good taste to go with the substance. 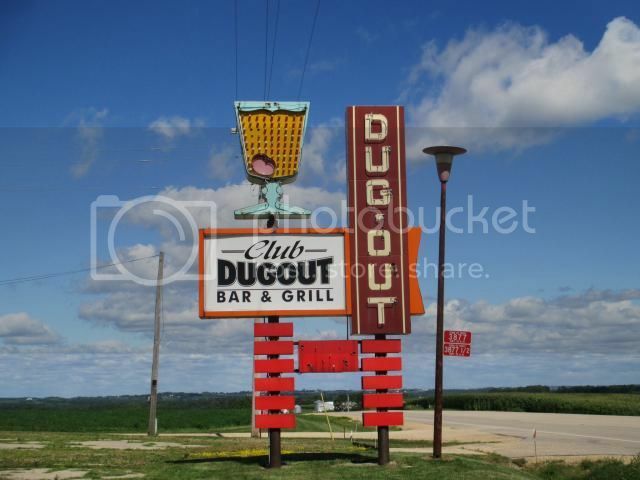 remembered this spot when I spotted the sign en route to Potosi. We enjoyed a light lunch at the Brewery restaurant. A decent brat, also a burger and some wings. 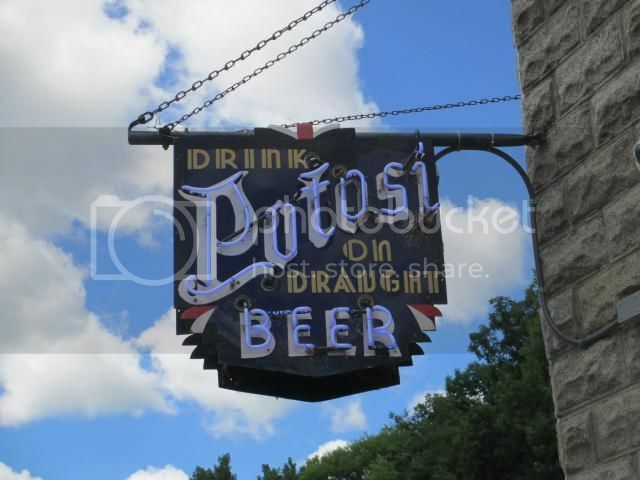 I did like the few beers I had - The Good Ol Potosi as well as a light version. Nice patio that got packed soon after noon. Racine isn't all Kewpees and kringles. The "Belle City of the Lakes" is home to some notable Frank Lloyd Wright projects, including Wingspread, the former residence of Herbert F Johnson, of Johnson Wax. The property is now maintained by the Johnson Foundation as a conference center, with tours available when it's not in use. The tour was very worthwhile, with plenty of time to wander around the sprawling house. Check out the patina on all that wood—doubtless from decades of Johnson Wax products! With the morning's dose of culture out of the way, it was time for lunch. In the past, mealtime decisions in Racine usually boiled down to a choice between Totero's and Wells Bros, two Italian-American classics a couple blocks apart on Mead Street. Totero's is now closed forever and Wells Bros is on their annual summer vacation. But there's another worthy choice on Mead—La Tapatia, a nice little grocery store and taqueria, located two blocks north of the pizzeria. 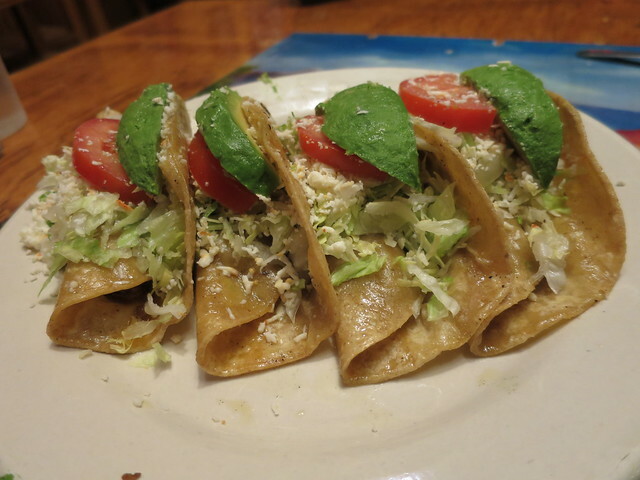 Nearly every table in the cheerful dining room had a plate of hard shell tacos (4 for $4.59) so we followed suit. The crispy beefs were good, but underseasoned and slightly disappointing. Crispy steak tacos were better, but al pastor was the surprise hit. Tapatia's al pastor isn't crispy ribbons of meat shaved off a trompo as much as chunks of pork braised in flavorful red grease. 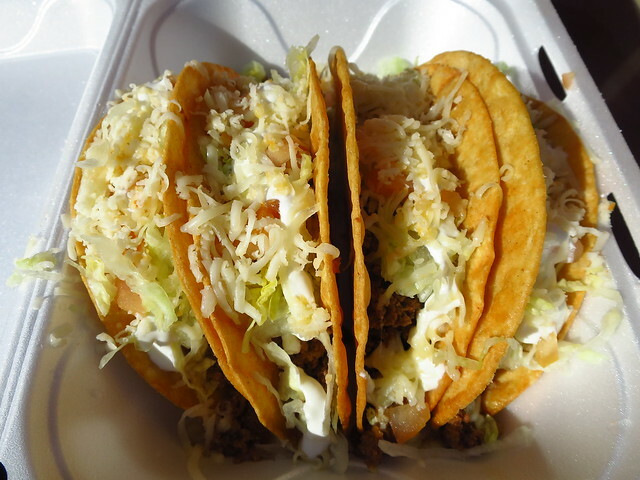 Purists be damned, these are tasty tacos. Shells are fried to order in a cast iron skillet and the tacos arrive at the table blisteringly hot. Our afternoon was spent visiting Wright's masterpieces on the Johnson Wax campus, including the Research Tower, open to the public for the first time ever. This walkway connects the Tower and Administration Building. Of course the second tour worked up quite an appetite, so before leaving Johnson we asked where to go for Friday fish fry. Da Beef wrote: Happy Fish Fryday! All of a sudden I now know of a couple good Friday Night Fry's in the Kenosha/Racine area. Finally made it over to Cliff's Boathouse Cafe in Racine which is known around town for their Fry. It's all in the family over there. A popular place on Friday's with regulars coming in as others leave. Cliff's was suggested to us by the Johnson Wax people, with the warning it's a dive—the highest possible recommendation. The place is popular but the wait shouldn't be painful—just step inside and order your choice of Rolling Rock or three flavors of Miller and grab a chair on the sidewalk. Decent plate of perch. Potato pancakes aren't my preferred shredded style but I still enjoyed them (homemade potato salad can be recommended too). What's missing from nice greasy potato pancakes hot from the pan? That's right, butter. Welcome to Wisconsin. 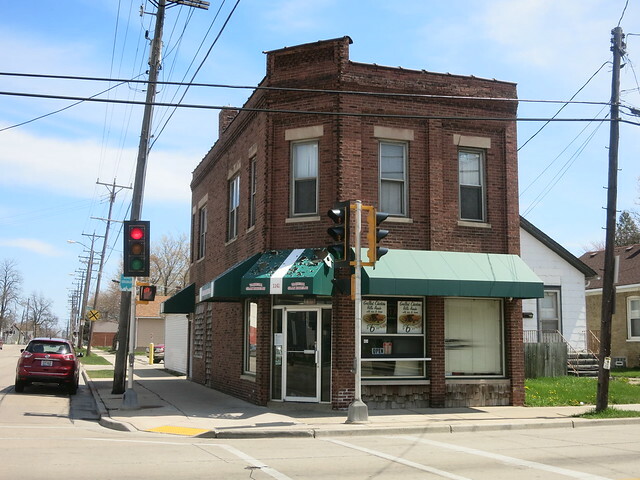 Rene G wrote: In the past, mealtime decisions in Racine usually boiled down to a choice between Totero's and Wells Bros, two Italian-American classics a couple blocks apart on Mead Street. Totero's is now closed forever and Wells Bros is on their annual summer vacation. But there's another worthy choice on Mead—La Tapatia, a nice little grocery store and taqueria, located two blocks north of the pizzeria. Nice. Those crispy's look right up my (and jimswside's) alley. It can be damn hard to pass up on Wells Brothers and or Kewpee when in Racine but those tacos will be tried next time. 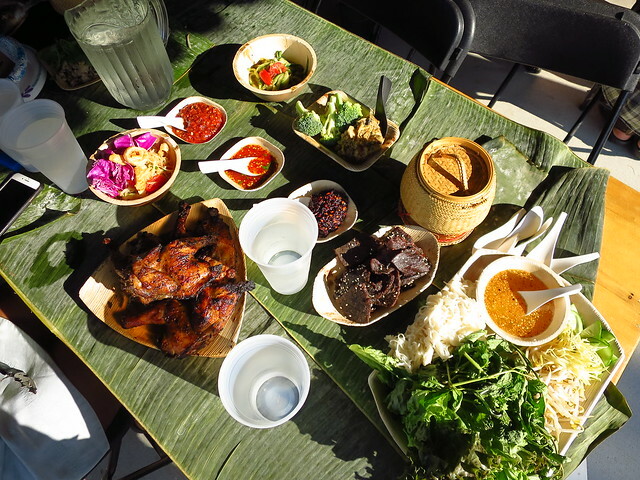 As long as we're at it let me also add a Thai-Lao place called Sticky Rice into the mix. It sits right on Main street not far at all from Kewpee. I stopped in a few months back when I noticed the Lao part of the description and said what the heck even though I just had a double Kewpee with cheese. Under the 'Specialty' section of the lunch menu was a Laotian Chicken Noodle & Fresh Vegetable "Salad". 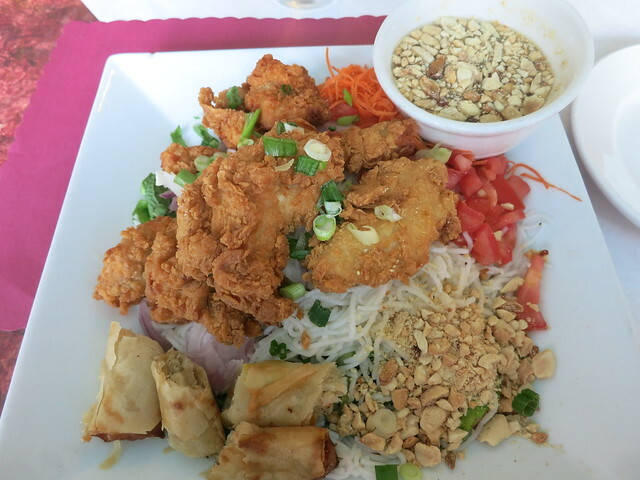 I use the quotation marks because as described on the menu this is "Breaded Deep Fried Chicken Breast with lemongrass, noodle, lettuce, tomatoes, cucumbers, mint, peanuts, bean sprouts and spring roll sauce. Served with homemade egg roll." It's also described as "My moms favorite dish" and it sounded damn good so that's what I got. As you can guess it was damn good and if all salads tasted like that I'd be eating greener a whole lot more. There's a few other Lao specific offerings that sounded good and business seemed to be doing really well. I'll be back. Da Beef wrote: Nice. Those crispy's look right up my (and jimswside's) alley. It can be damn hard to pass up on Wells Brothers and or Kewpee when in Racine but those tacos will be tried next time. As long as we're at it let me also add a Thai-Lao place called Sticky Rice into the mix. 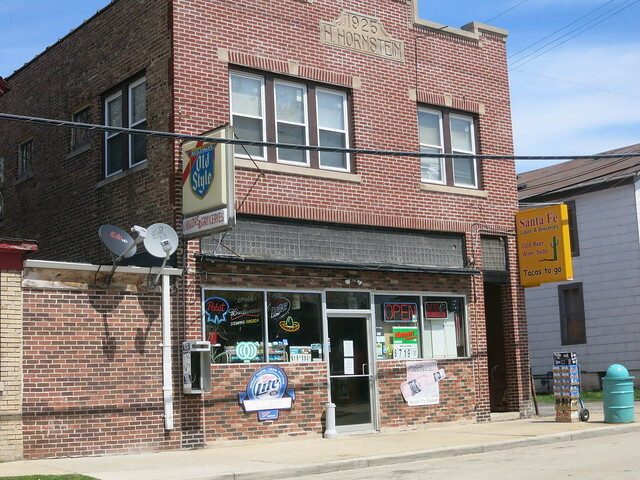 It sits right on Main street not far at all from Kewpee. I stopped in a few months back when I noticed the Lao part of the description and said what the heck even though I just had a double Kewpee with cheese. They'll do mixed sets of crispies at La Tapatia so a good strategy might be to order four different ones at first, then zero in on your favorites. The kitchen is quite fast. 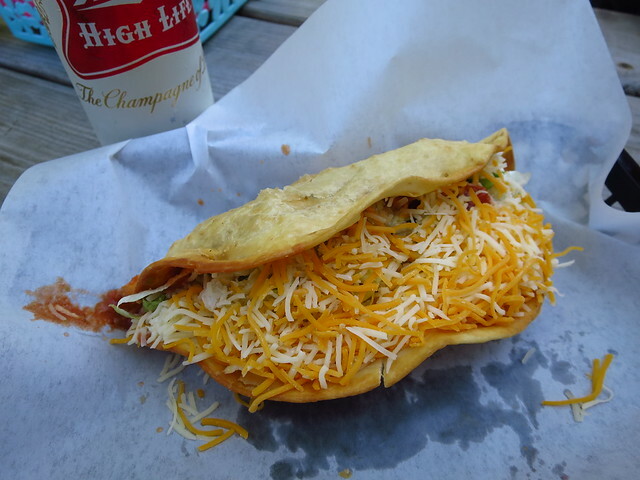 Sticky Rice was on my list, but crispy tacos won out (also went to Kewpee, of course, in addition to the fish fry). 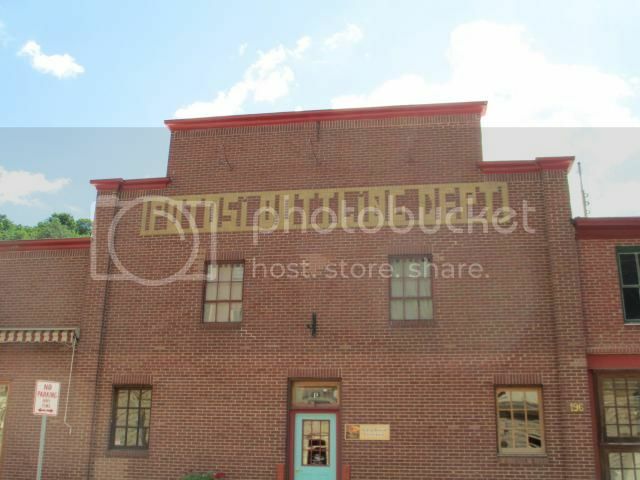 While looking for Wells Bros replacements, I came across their menu online and noticed the Lao references. Know anything about Olde Madrid? I wasn't feeling adventurous enough to tackle paella in Racine, especially at a place with a name like that. Stopped into a fun little Japanese comfort food spot my last trip to Madison. 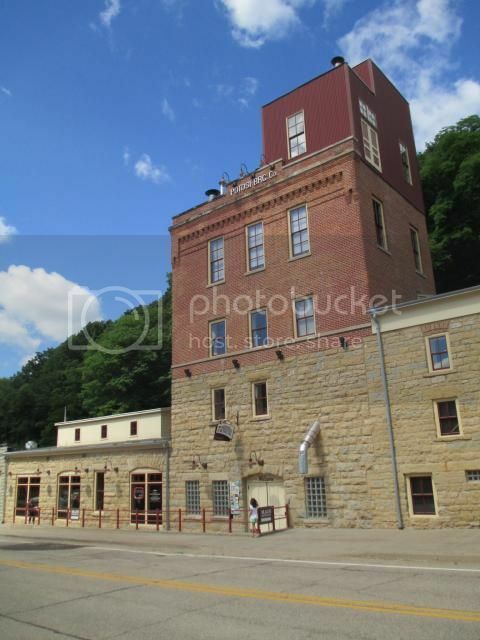 Some outdoor activities brought us around Mineral Point and I remembered reading about this place and then making a mental note to stop in next time I was near. It's a husband and wife team behind the place and she's from Japan. So the article says they (Hiroko and Chris) "met in Sendai City, Japan, where Chris was teaching English and Hiroko was a cook in a hospital. 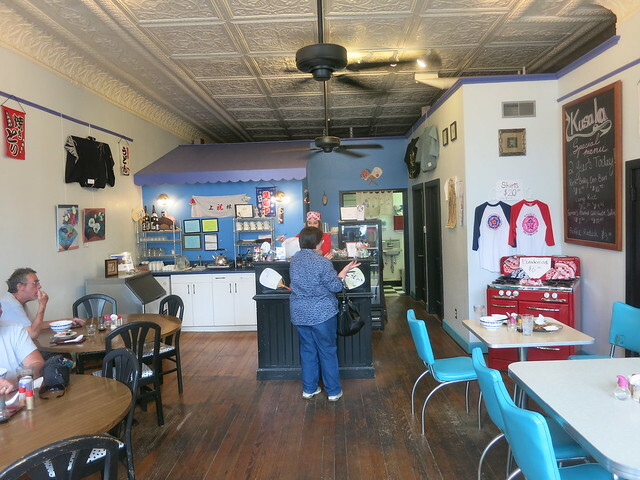 She's a professionally trained chef, and together they opened a coffee shop that served homemade pizza as well as western breakfast novelties like toad-in-the-hole." The tsunami brought them to Southwest Wisconsin where the husbands mom lives. 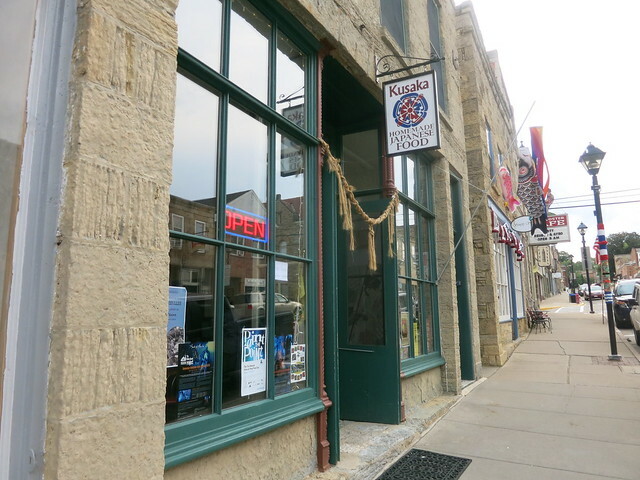 Eventually they opened Kusaka on Mineral Point's main drag. As the linked article mentioned they make their own noodles by hand for the ramen here. You can select from three different broths and get a nice sized bowl for a very fair price. The rest of the menu is pretty straightforward featuring many dishes Hiroko would make for herself on an off day. The ramen was pretty good, noodles were firm though the broth wasn't all that strong. Nonetheless on a cold winter day I'd be happy to slurp it. 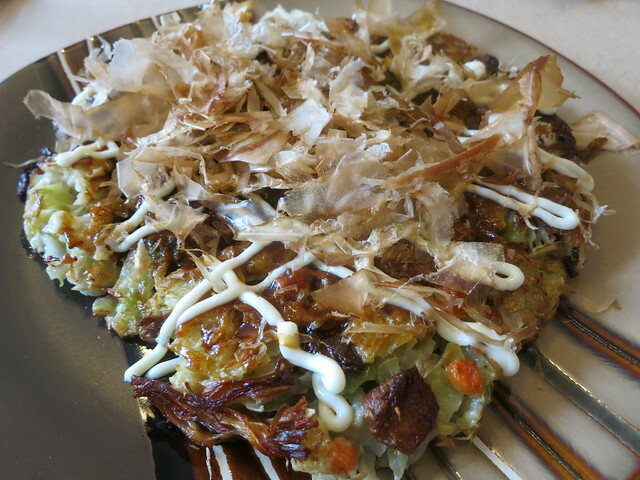 For myself I got the Japanese pancake aka okonomiyaki. I said yes to to the bonito flakes on top and was very relaxed with my dish. Cool option for this cute little historic town to have. My first visit, and a nice one it was. I can't say I love limburger. While I'm a huge fan of stinky cheeses, there just seemed to be no complex flavors (just stink) to this cheese. But add bread and salami and it seems to work okay. 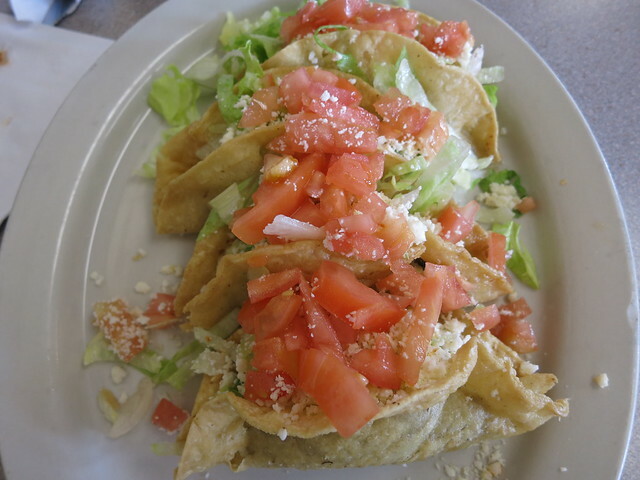 Rene G wrote: They'll do mixed sets of crispies at La Tapatia so a good strategy might be to order four different ones at first, then zero in on your favorites. The kitchen is quite fast. Nice call. I enjoyed these last week while passing thru to Milwaukee. I went with two ground beef, one pork and a steak (extra). I ended up liking the ground beef the best but the pork wasn't bad by any means. Steak was sad. 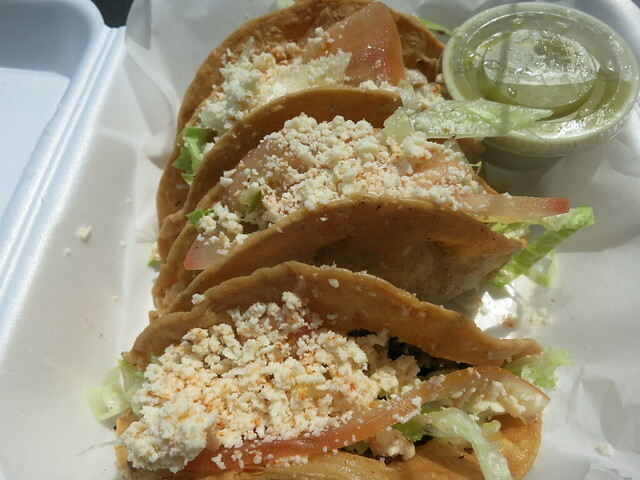 As long as we're talking crispy tacos and Racine let me add another worthy option into the mix. 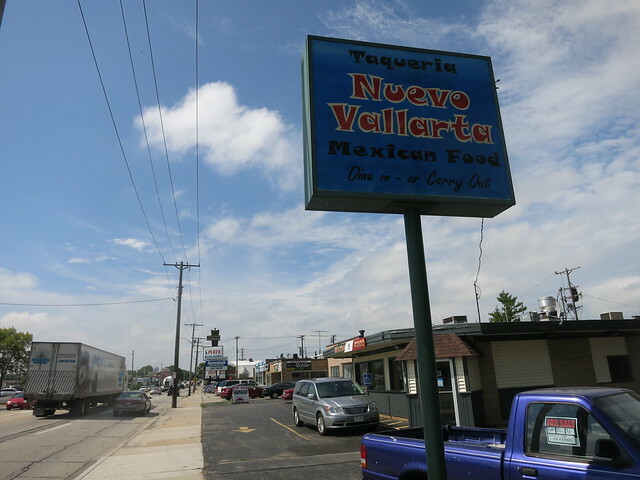 I did a little google search and found a place in town called Taqueria Nuevo Vallarta that was calling my name. I took a peak at the menu someone posted on Yelp and spied "Tacos Fritos" which in turn immediately shot it up my radar. 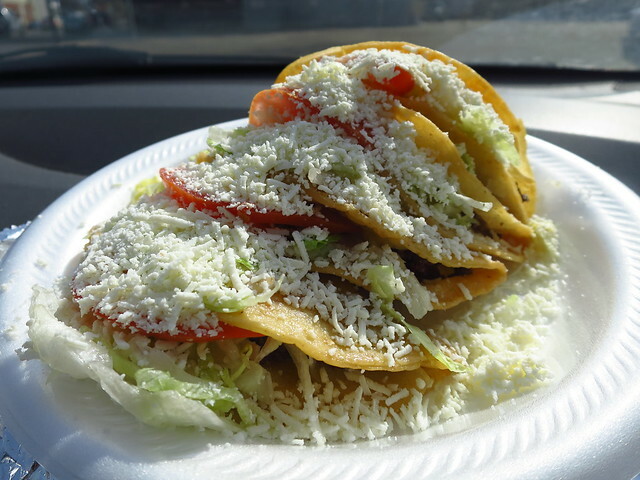 You can't order tacos dorados to go unless you plan on eating them as soon as you step outside so I chose to dine in and was given a couple really well balanced made in-house tomato salsas (mild and hot) which were the old school American-Mexican type I adore. Six minutes later my tacos fritos were ready. They come four to a plate ($5.25) and while I'm sure you could ask for a different filling they only list ground beef as the option. I knew I wanted these when I read the description "Filled with Ground Beef and Deep Fried" Keyword being 'and'. While spots like La Tapatia prove you can make good crispy's that get filled after the tortilla is turned golden, I much prefer the spots frying the shells with the meat inside. As always these were wonderful, to me anyway. They were virtually the same as those served at Taco Mex on Chicago's Southeast Side. On top of these they have a section of the menu dedicated to "Crunch" and next time I plan on trying the Fried Flour Tortilla Taco Plate. Lastly, a spot for documentation sake. 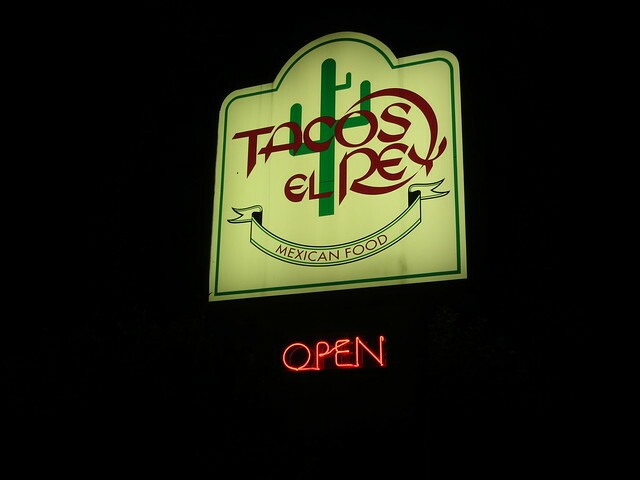 I peeked what people online had to say about Kenosha's taco scene and many were praising a place called Tacos El Rey. Tucked away in a residential neighborhood I've never seen this place until reading up on it so I decided to give them a try a few trips back. 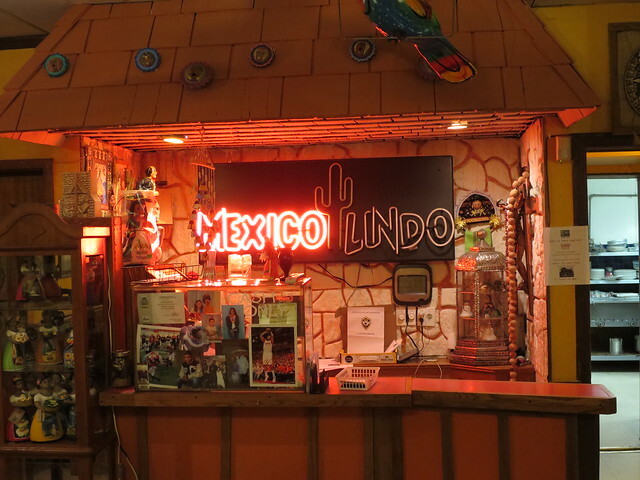 This place is straight out of the 1970's Midwest Mexican Restaurant protocol that's been discussed on here before. I saw they had something called a "Wrapped Taco" and that's what I tried. They take a hard shell corn and then wrap a flour tortilla spread with beans around it. Ground beef, lettuce, tomatoes and lots of shredded cheese go on top. Nothing special but I'll admit to eating the entire thing. I wonder if Cunejito's is still any good. I remember thinking they had good tacos back in the 80's. Rene G wrote: Racine isn't all Kewpees and kringles. The "Belle City of the Lakes" is home to some notable Frank Lloyd Wright projects, including Wingspread, the former residence of Herbert F Johnson, of Johnson Wax. 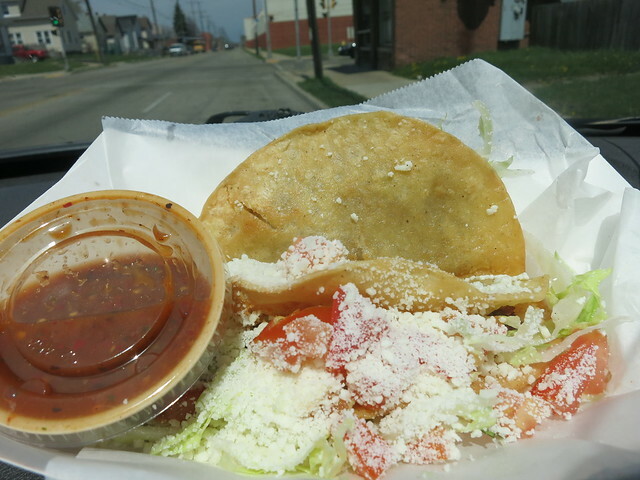 I've given Racine another nickname in 'The Golden Taco Capitol' as the tacos dorados plate seems to be popular all over. On top of the two spots posted up above I've found them on the menu at a couple other spots which means there's a good chance there's more. 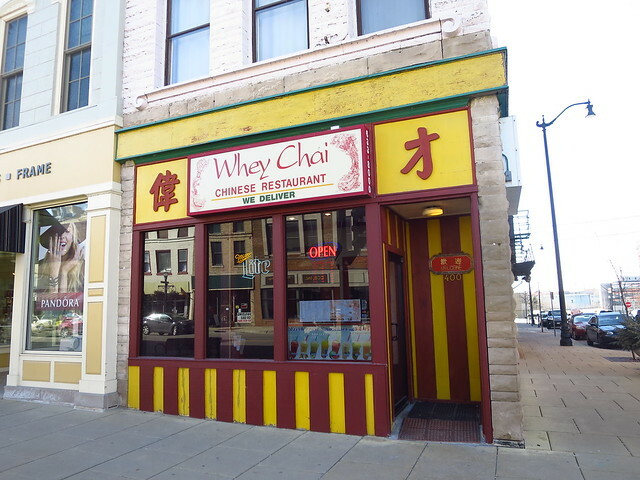 This spot escaped me until a recent trek to Milwaukee took me thru Racine for something to eat. Not all that different from La Tapatia up above as far as the setup goes. It's a grocery store with a tiny open air kitchen in the back corner and a single table in front of it. Most people are taking tacos and or cigarettes and booze to-go. The taco plates come four to an order and are what everyone is ordering. Not a bad lunch for under five bucks. These little guys are deep fried with the meat inside and toothpicks holding the shell in place. The ground beef mixture was a bit bland but other than that they make a respectable rendition of my ultimate guilty pleasure. 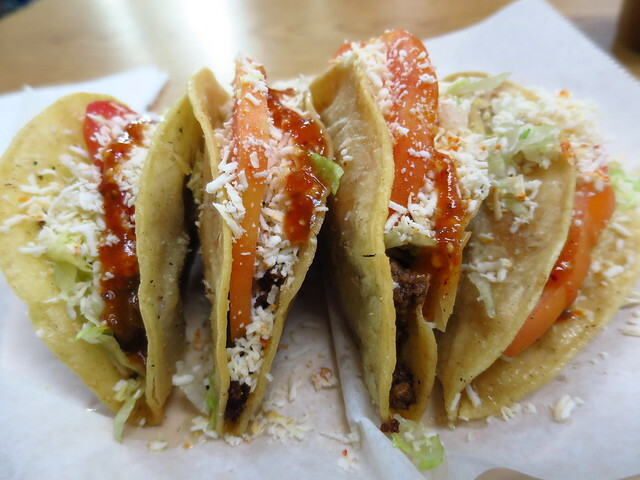 Then there's also this joint below which I'd been into before but didn't see tacos dorados or crispy tacos etc on the menu so I passed, which was a mistake. This trip in I could tell this is a place that would be in Little Village or on the East Side of the city if it was in Chicago. Three older ladies were behind the counter and each of them was tending to something, be it the huge pot of fresh frijoles charros being made or chopping down some cilantro, they were all at work. The plates of the soft shell tacos eaten by the locals looked and smelled wonderful but I was there to see if they did the fried taco plates like the others. As it turns out the ground beef option is served standard as tacos dorados. These are also fried whole and include both shredded chihuahua cheese as well as crop dusts of Parmesan. Not the first place I've seen do this. Maybe the crispiest tacos I've ate to date. Racine may be the death of me. Burlington? Which local bar has the best Friday night fish fry? Da Beef wrote: I've found them on the menu at a couple other spots which means there's a good chance there's more. Hunch confirmed since I lasted posted this. 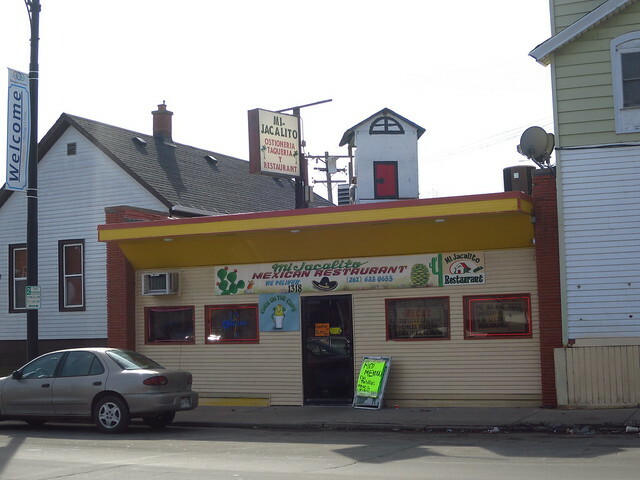 Racine Wisconsin aka Taco Doradoland aka The Golden Taco Capitol aka Fried Taco Town, USA. Here are a few more consumed from there. Many of them found through through the comments to this little tidbit written by forum member funholidaygirl. First up might be the new #1. This place feels like it belong somewhere in old Austin or something. Big menu with lots of interesting stuff. Quite a few people dining in on my visits and many had big bowls of Menudo. Orders of crispy tacos come by the four and cost a whooping $4. These were very well fried with nicely spiced beef and lots of mexican crumbling cheese which I think works best with these. As good of an example of the Racine style Crispy Fried Taco Plate as I've found. Next stop is a place that I know was mentioned on the board before. I was always intrigued to try but when it's a stones throw from Wells Brothers it's hard to make room. I don't know what year this restaurant goes back to but it's got to be the 70's or early 80's as it feels like a time warp inside. We got a crispy taco plate with avocado added on. I like the folding job, looks like they hold it shut with tongs and fry them for a little bit before toppings go on. But they needed to be fried a little harder as they were slightly greasy and under-fried thus not much crunch was involved. I wish we had these spots that double as liquor stores and taco shops. They seem to be a thing in Racine. I wish we had a few in Chicago although we still wouldnt have the option for Spotted Cow and Crispy Taco Plates but just the latter is still better than neither nor. 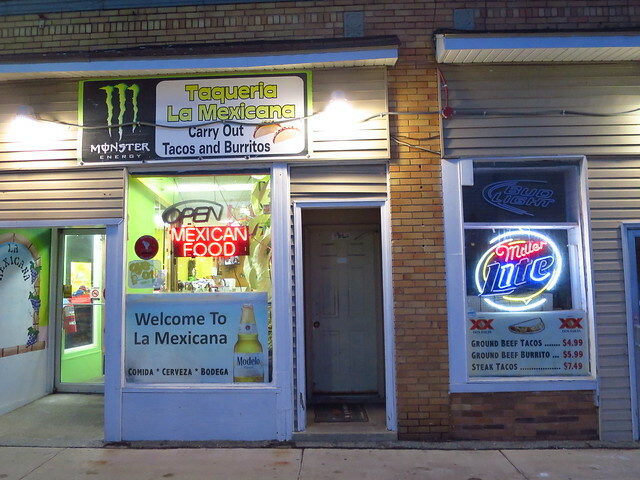 This place sells single bottles so you can enjoy a beer with your tacos if you want to eat them inside of there. 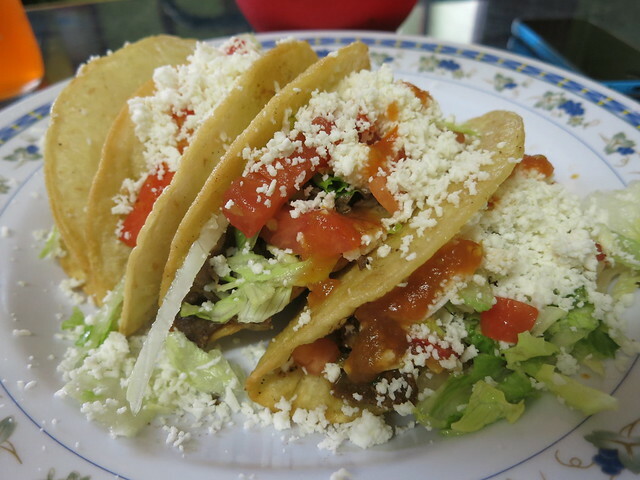 These were a fine example as the meat is fried inside the shell though not quite as good as some of the others like Tapatia and Gran Morelos. I became immediately intrigued when jimswside mentioned he had seen a comment on Wisconsin Food Talk about the local long time Chinese restaurant having excellent crispy tacos. You know crispy tacos are a big deal in these parts when the Chinese takeout spot is serving them up. I had to try them. Another old school spot where it doesn't feel like much has changed. They have an entire Mexican portion to the menu and of course Crispy Tacos are listed first. I ordered a plate and waited. When the lady yelled over to me that my tacos were ready everyone at a table on the other side veered their head toward me looking mystified that someone was ordering tacos at a Chinese place. In the end these were the least liked of this bunch as the shells were fried without the meat inside. Though they did have a slightly egg rolly taste probably due to the oil so they were at least interesting though probably not worth ordering again. Great, my friend 'funholidaygirl' often checks out your postings for hints of good places to go. Ordering those tacos "American-style" is critical, otherwise your taco is served Mexican-style: tortilla with onions and cilantro. I tested this locally at a Mexican place in Highland Park. 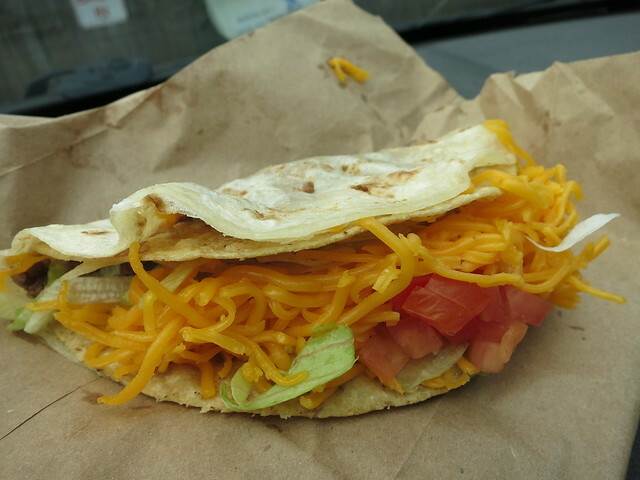 When I asked why don't they serve fried tacos, I was advised those are "American-style." A subtlety I never realized until the last few years. Trump might not like it but Taco Night is becoming as synonymous with Wisconsin taverns as the Fish Fry already is. I'd guess to say that one out of every three bars in the state now does some form of taco night. 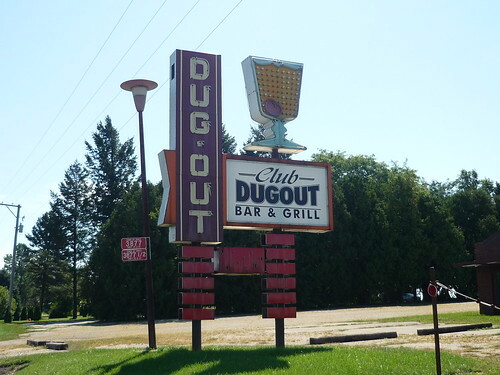 None of them more popular than this local tavern outside of Green Bay. Located in a tiny unincorporated community the population drastically increases on Tuesdays when Tippy Canoe serves deep fried tacos. One of the owners grew up in a Mexican restaurant in Nebraska and learned to make the tacos from her mom. When those dots are connected you start to realize Nebraska has it's own style of tacos and somehow they ended up here in Wisconsin. What gives them this style is the deep fried flour shell that's double in size of a normal tortilla. They're filled with ground beef or chicken and and most people can only eat one. Be prepared to wait if the weather is nice as they go thru close to 500 each Tuesday. I liked them. Makes for a great 1-2 punch with a burger from Joe Rouer's. Amazing, Beef! Great origin-story on those Nebraska tacos. Who knew? First, runza; now, tacos!! What will those Nebrascanos come up with next?? 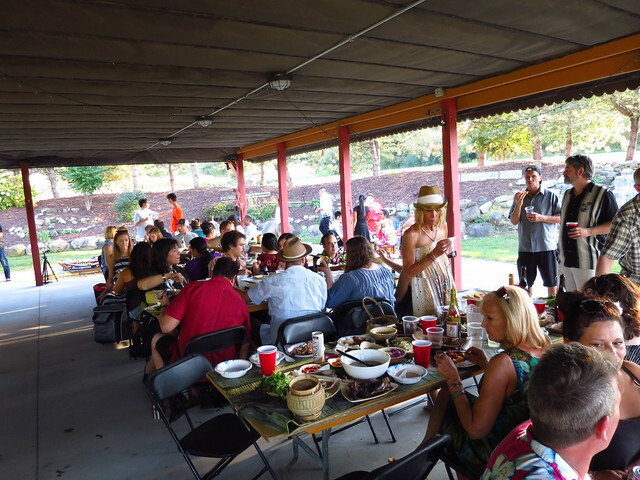 I had the opportunity to attend a real deal Laotian Barbecue up in the Lake Geneva area just a couple weekends ago. 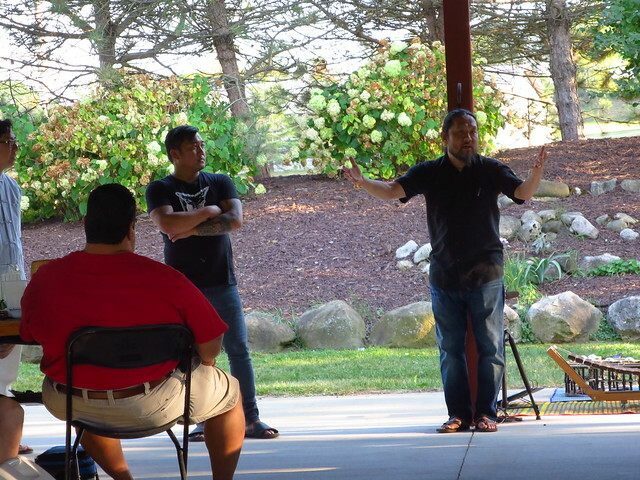 It was hosted by the folks at Hometown Sausage Kitchen which is located in East Troy about 20 minutes north of Lake Geneva and about 45 minutes west of Racine. 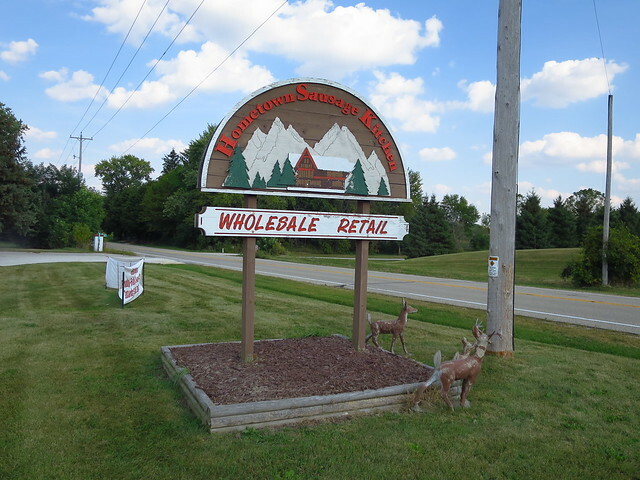 Hometown doubles as both a retail and also commercial butcher. They teamed up with Sap Sap Sausage. It's a commercially sold Lao sausage company owned by Laotian refugee turned American businessman Alex Hanesakda. Sap Sap does these dinners throughout the summer and they can range from something grand like that which I attended to a low key pho cookout on the farm. Alex was the main host of this dinner as well as all of the other ones they've done. He came to the States from Laos at a young age when his family was sponsored by a Milwaukee family. They later moved to Burlington (WI) to be closer to other family members. It was in his mothers Burlington kitchen that Alex learned to love his heritage and particularly it's food. So one day he decided to put on these pop-ups promoting the cuisine of his home country. I found out of the barbecue through the promotion of it on Facebook. 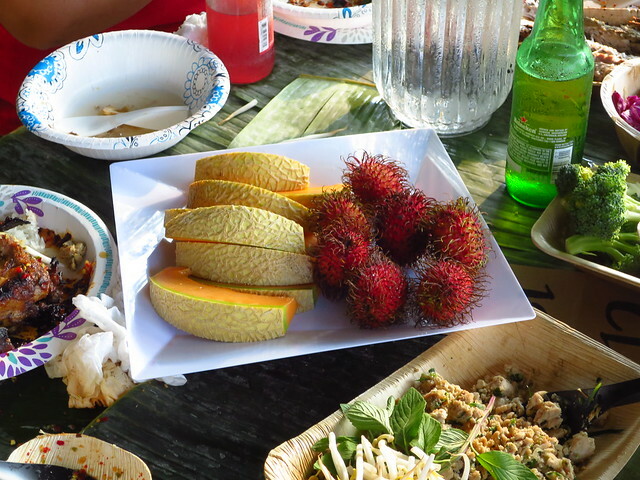 The fact Alex was able to get acclaimed Lao Chef Phet Schwader of NYC's Khe-Yo to co-host was a good reason to go. That and the fact it was a perfect Saturday as far as weather and the farm it's on was beautiful. It would've been a great day without the food and with the food it turned into a memorable one. Well worth the $60 pricetag with the BYOB option and all. 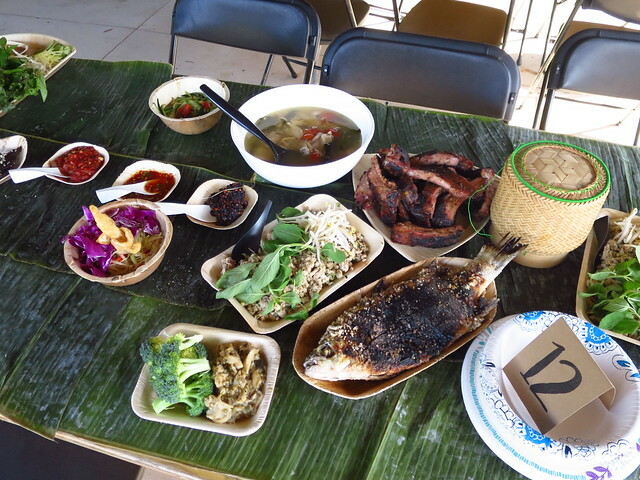 Chef Phet did it up family style and bc of that I really felt like this was close as you'll get to a Lao feast here in the States. Everything really was great. They even had music and dancers which is typical entertainment at Lao bbq's. Here's what we had. Considering how little presence Lao restaurants have in Chicago I thought this was well worth the drive which isn't all that long anyway. It ended up being a great day not just for food, weather, and surroundings but also in terms of meeting some really nice people including our hosts. I had the pleasure of sitting at the same table as Alex's family and it was an absolute honor. Of course I asked them where to get the best Lao food in Wisconsin and of course they told me I was eating it as we were speaking. While these pop-up's are done for 2017 they will be back in 2018. Like the Sap-Sap page on Facebook to get more info on them as they come along. I plan on going back for more next year. Hope to see some of y'all there. I'll be there next year! Google says it's 46 min drive for me. Widmer's Cheese Factory is a little off the beaten path but deserves a mention in this thread by itself. Theresa is a little town close by the Theresa Marsh and not too far from locations around the Horicon Marsh for bird watching at either Marsh or hunting. I stopped Friday on the way back from Road America and found that they now have 12 yr old Chedder! Various ages from 1 to 10 were previously available with the 10 voted the best we have ever had. We have one block of 10 left and I thought about a blind tasting but this is an agricultural product subject to different yearly conditions, making and aging. with variability of those factors judging one against the other doesn't make sense. It's just very good and as the counter lady told me, "Goes good with a nice Cabernet". Regular Brick and aged Brick are the main stay products. The little store is literally in the Factory and while in the slightly high hunidity and temp you can watch the cheese being made in the morning. If you get there like I did about 2pm last Friday, you can observe the scrupulous cleanup from the daily making. BTW Brick Cheese is named for the bricks used in the making and if you go, you can find out how they are used. Various other products are available. Be aware AT&T cell is iffy to sometimes non-existant so plan your route to AND from the Factory in advance. A visit also provides a nice ride through the beautiful Wisconsin countryside. Pho on the Farm(Rimes), November edition was held last night at Yuppie Hill Poultry. Organized by Alex of Sap Sap Sausage. Four courses, Mama’s EggRolls, Chicken Duck Fat Fried Rice, Laotion Style BBQ Ribs and Pho with a Chocolate Chia Nam Von dessert. Food was of excellent quality and hot to the table, especially important for Pho as one of the beef ingredients is raw when the hot Pho is added. The Broth for the Pho is how I make it with a nice aroma of cinnamon and anise and clear. 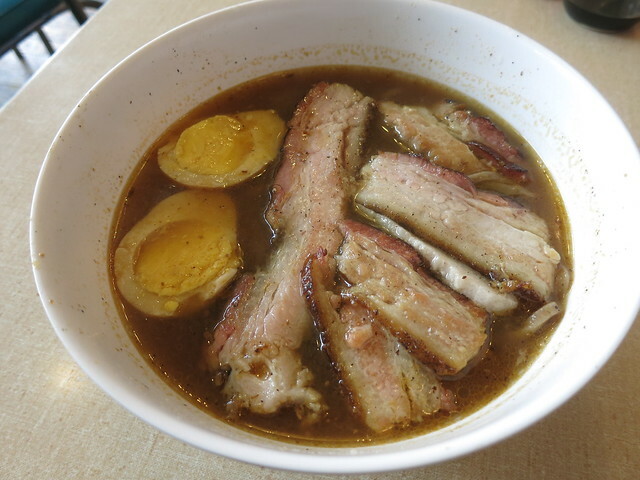 Brisket was very tender and nice meatballs accompanied the Pho. Since this was my first time eating Laotion style food, I don’t know how the heat (spice) compares to Vietnamese but I had the sense that these dishes were somewhat prepared for Western palates. Arrival at 6pm, food promptly at 6:30 pm and kept on coming. Use your GPS because even though I am familiar with the Burlington area, the location is really rural Wisconsin.